OfficeTimer Employee Attendance Management System is undoubtedly one of the crucial factors of the corporate world. The presence of employees at the workplace means two things; one improved productivity resulting in good profits for the employer and two, an opportunity for employees to earn their salaries. Therefore, it’s important to have a system in place that tracks employee attendance effectively to ensure that this win-win situation remains balanced. Before technology became an integral part of the corporate world, companies relied on ledgers to register daily employee attendance, a system that had a fair share of drawbacks. 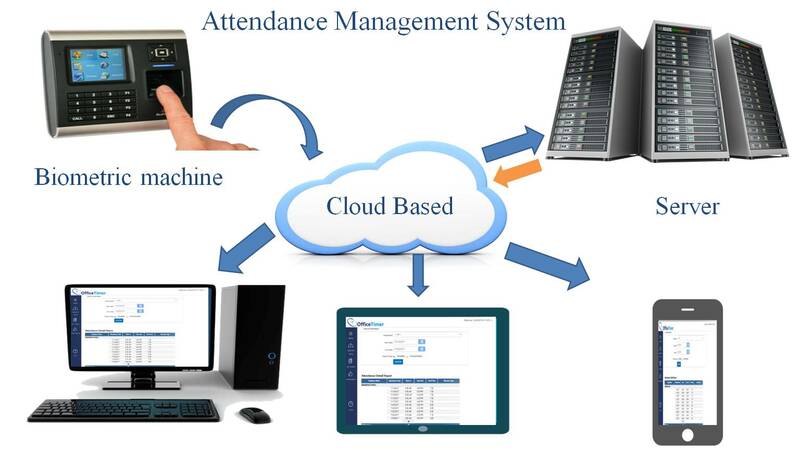 Today, modern offices are relying on a more efficient system – the online attendance management system. OfficeTimer Employee attendance management system monitors the presence and absence of all employees more efficiently. It records important aspects such as employees’ time-in, time-out, overtime, half-days, maximum leave, leave without approval and absenteeism, etc. This makes it easy to monitor employee attendance and performance. Preparing a payroll can be a lengthy and complex process when done manually. This is because there are many variable pay components involved. An online attendance management system helps simplify this process as it does automated calculations. With precise information about employee attendance and performance, it becomes easy to compute employee salaries with accuracy. OfficeTimer online attendance management system is a cloud-based system that allows easy remote access to information from anywhere. This allows HR personnel to access information easily and conveniently. With the understanding that they can’t cheat the system, employees have no other choice but to adhere to company policies regarding attendance. When workers are more punctual, the productivity improves and so are the profit margins. OfficeTimer plays a crucial role in the evolution of the attendance management system from the manual system to an automated one has helped do away with the hassles and tediousness involved in record maintenance. Installing an online attendance management system may seem like an expensive undertaking; with other attendance management systems not with OfficeTimer but the benefits associated with it cannot be overlooked. Even though it might cost an organization some money, with attendance management systems only, but OfficeTimer is a complete set of timesheet software, leave, Expense, Project, Time tracking, advanced reports etc. OfficeTimer certainly makes work easier, thus completely worth the money in the long run. Now just imagine, being a small and medium-sized business, when you save all your time by installing OFFICETIMER attendance monitoring system, where all can you use it constructively. Right? Timesheet Software Is So Famous, But Why?